Feel the energy and modern pulse of New York City with Elizabeth Arden’s New York City Eau de Parfum, a fragrance for women that captures the effortless elegance of the modern Manhattan woman. 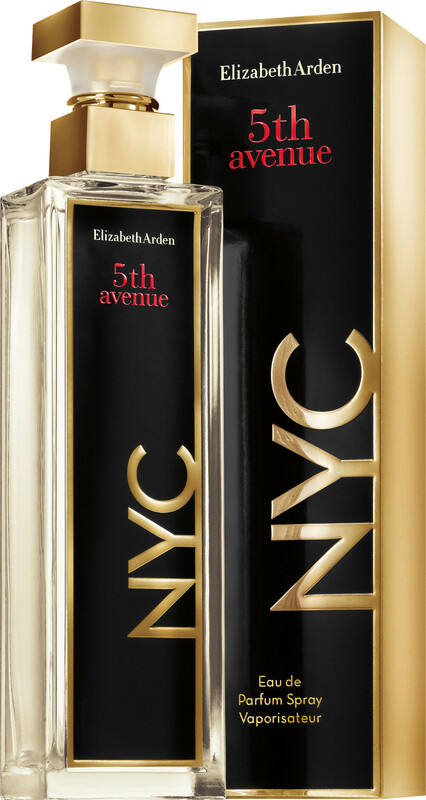 5TH Avenue New York City is for a sophisticated woman, the perfume encapsulating her confidence and her dynamic surroundings. Inspired by the city that never sleeps, the lively enthusiasm of the famous city is reflected in this sparkling aroma. The fresh fragrance begins with citrus notes of bergamot and peach plus a New York favourite: the golden delicious apple. The aroma reveals a sensual twist in the heart as black currant juices meet a floral bouquet of plum blossom, peony and jasmine. In the base the warming notes of amber, vanilla, tonka bean, musk and sandalwood complete the energetic Eau de Parfum. Top Notes: Bergamot, Peach, Apple. Heart Notes: Black currant, Plum Blossom, Peony, Jasmine. Base Notes: Amber, Vanilla, Tonka Bean, Musk, Sandalwood.